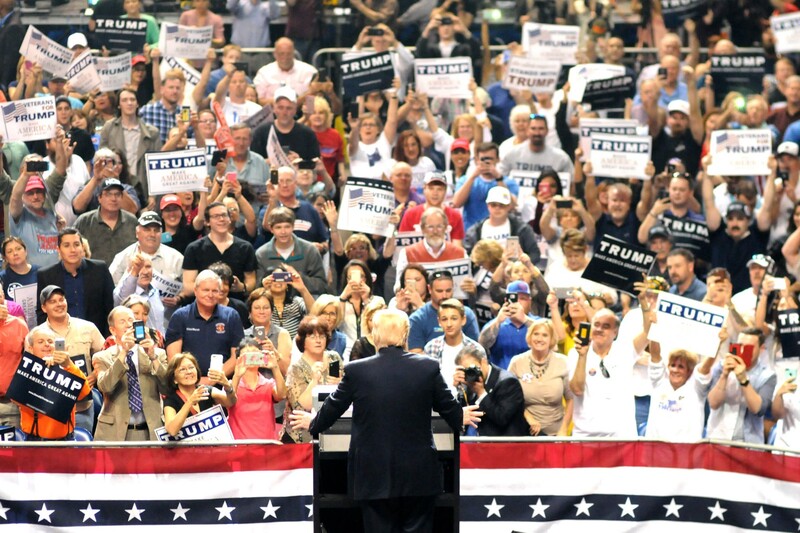 In a series of surveys taken of those attending President Trump’s rallies some thirty-one percent thought “Roe versus Wade,” the Supreme Court decision upholding abortion rights, was actually an upcoming UFC fight while another nineteen-percent believed it was two of the choices you have to make when you go fishing. The report by More On, a California think tank, was conducted as part of a study of likely GOP voters and was commissioned by the Koch Brothers and Coors Lite. 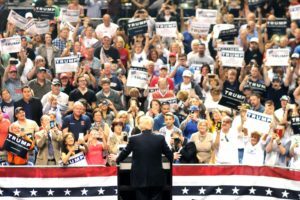 The survey took place at many of the president’s pep rallies including those in Alabama, West Virginia, Tennessee and Florida. In responses to the question of who was buried in ‘Grant’s Tomb’, considered a fairly easy test of reasoning, twenty-two percent had no idea even when prompted with “just take a guess.” sixteen percent wanted to know if it was a video game, twelve percent thought it was ride at Silver Dollar City Amusement Park and others responded by asking where the restrooms were, what time it was or just wandering off. In a related finding the study also noted a significant drop in arrests for spousal abuse, DUI’s and opioid offenses in the surrounding counties during Trump’s rallies. This entry was posted in Politics, Satire and tagged Donald Trump, More On, Roe vs Wade, UFC by gprowler. Bookmark the permalink.